This is the final book in the Italian Chronicles, which I've enjoyed. Check out my review and enter to win a copy of this series! A mother, her son, and the man who threatens to come between them . . . When Maria Landro Tonetta receives word that Mama is terminally ill, Maria travels to her Sicilian homeland with her son Nico. She finds herself yearning for the life she once knew as a child on Bella Terra, the family farm, now on the verge of bankruptcy. Caught between two worlds, Maria dreams of moving back to Sicily with her husband and children to save the farm. When Nico’s biological father unexpectedly appears at Mama’s funeral, Maria faces a new enemy to her dream. But is there an even greater enemy within her own soul? 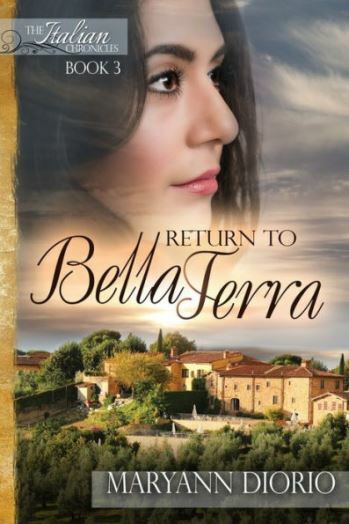 Return to Bella Terra is the third book in the Italian Chronicles and a bittersweet, emotional and satisfying ending to this series. I enjoyed both The Madonna of Pisano (Book #1) and A Sicilian Farewell (Book #2). In this third book, eight years have passed since the ending of Book #2 and we are back to Maria's story as she travels back to Italy with her firstborn son Nico to visit her dying mother and her family. Most of the story in this book takes place in her native hometown in Sicily, where it all started. Nico is now 19 years-of-age and wants to stay in Italy and not return to America. Maria is conflicted because she too longs to permanently move back to Italy, but doesn't think Luca, her husband will want to. The conflicting emotions of immigrants who leave entire families behind in their homeland to follow their dreams or strive for a better life is explored in this book. My parents are Italian immigrants and this story made me appreciate the sacrifices and losses they suffered. It was such an emotional read for me, bringing tears to my eyes several times! Maria's story comes full circle as she returns to Italy and to the painful memories that she lived through as a young woman with an illegitimate child. Characters we met in Book #1 are revisited and Maria learns to fully let go of all that transpired in the past as it related to her son who now wants to own and lead his own life. Once again, Maria is a fleshed-out character that drives the story and I loved how the author explored her strengths and weaknesses. As a mother and Christian, I could certainly relate to her and she has been my favorite character throughout the series. My only disappointment was in the insta-love component between Nico and Sofia. I would have preferred for this relationship to have been more realistically portrayed, and for us to have learned more about Sofia who we did not get to know at all. As a Christian, I know that God guides our way, but I was not fully convinced in Luca's belief that God had sent him to preach the Gospel in America, not from the little evidence we had of his preaching work in the eight poverty-stricken years they lived in America. Overall, I truly enjoyed the Italian Chronicles mainly because of the realistic portrayal of Italian life in small villages and the immigrant experience. The author created memorable characters, an epic story of one woman's journey, and a plot full of emotions and drama. I could easily see this trilogy as a TV mini-series. If you like Christian historical fiction, the Italian Chronicles is a satisfying portrayal of faith, love, forgiveness and redemption. Disclosure: Thanks to HFVBT for sending me this book for review. I was not compensated in any other way, nor told how to rate or review this product. To read more reviews, please visit MaryAnn Diorio's page on HFVBT. Dr. MaryAnn Diorio is a widely published, award-winning author of compelling fiction that deals with the deepest issues of the human heart. Her books for both adults and children consistently receive excellent reviews for their content and their style. 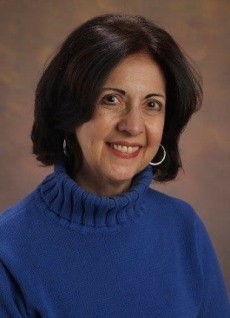 MaryAnn holds the PhD in French with a concentration in Comparative Literature from the University of Kansas. She resides in New Jersey with her husband Dominic, a retired physician. They are the blessed parents of two awesome daughters, a wonderful son-in-law, and five rambunctious grandchildren. When not writing, MaryAnn loves to read, to paint, and to make up silly songs for her grandchildren. For more information, please visit MaryAnn Diorio’s website and blog. You can also find him on Facebook, Twitter, and Goodreads. – Giveaway ends at 11:59pm EST on April 4th. You must be 18 or older to enter. I've enjoyed your writing and your characters so much. Thank you for stopping by! Great review! 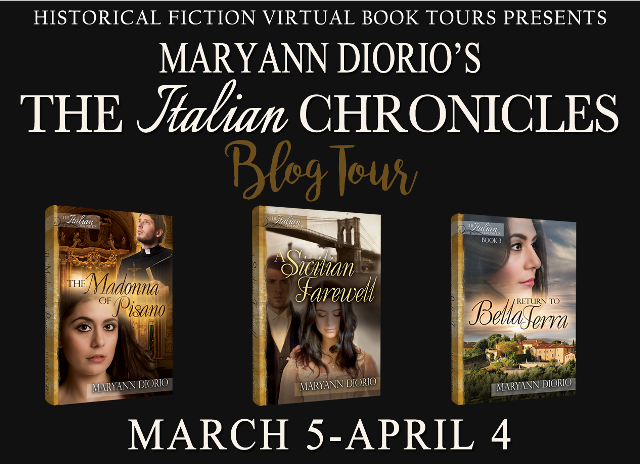 Thank you so much for hosting MaryAnn's blog tour. I am thrilled that you enjoyed the series! It was a pleasure, Amy.